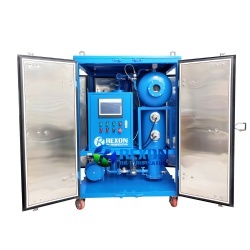 Rexon Vacuum Turbine Oil Dehydration and Oil Purification Unit Series TY is especially designed and used for used and contaminated turbine oil filtration and deep cleaning. 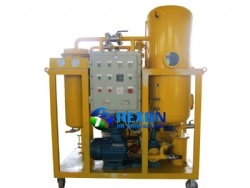 Rexon Vacuum Turbine Oil Dehydration and Oil Purification Unit Series TY is especially designed and used for used and contaminated turbine oil filtration and deep cleaning. Turbine oil, also known as steam turbine oil, is mainly used in steam turbines for power plants, hydroelectric generators for hydropower stations, turbine engines, and other lubrication applications that require deep lubrication. It is suitable for high-speed mechanical lubrication, mainly used for lubrication, heat dissipation, and cooling speed control. So this oil is easy to get heavy contamination of water and impurities from above high temperature working condition. 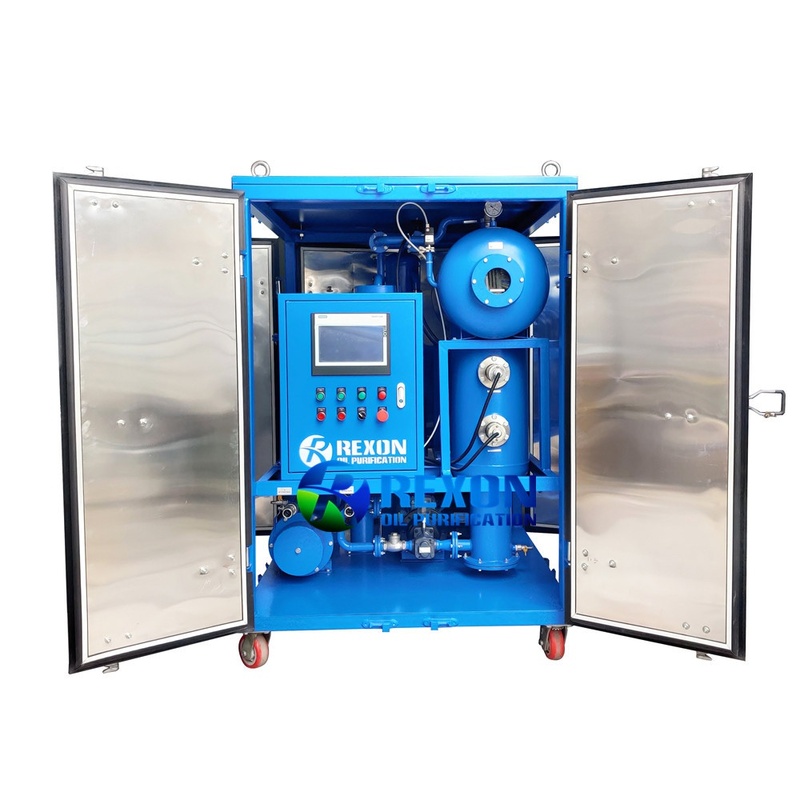 Rexon Vacuum Turbine Oil Dehydration and Oil Purification Unit can rapidly and effectively remove large quantity of water and moisture from oil completely, and at the same time to remove gas and impurities from oil completely, and make the oil recover to be new oil property. 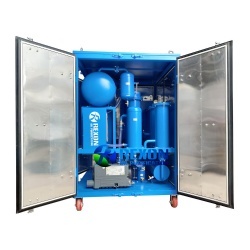 Rexon supplies stationary or mobile Vacuum Oil Purifiers depending on the customer’s application. 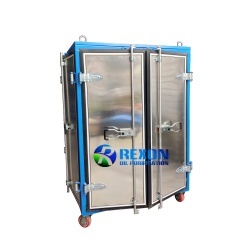 The equipment will be mounted on a common base or a trailer and weather-proof housing and explosion-proof enclosure are also optional.